Campeau's life was a rags-to-riches-to-rags story. 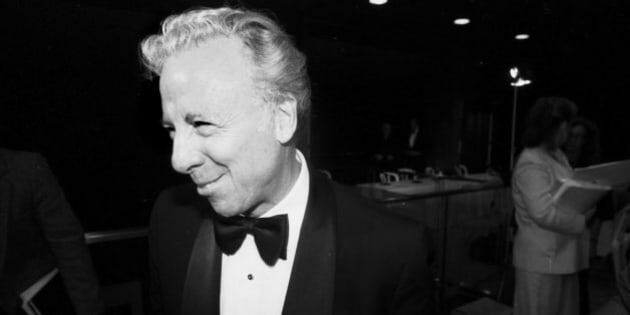 OTTAWA — Robert Campeau, the former real estate mogul who once controlled the Bloomingdale's and Macy's department store chains in the United States, has died at 93. An online obituary says he died in Ottawa on Monday. It did not specify a cause of death. Born near Sudbury, Ont., he started a construction company in 1953 and went on to amass a fortune in the real estate development business, with holdings in Ottawa, Toronto, California, Texas and Florida. According to the obituary, Campeau's company was involved in a number of notable buildings including Place de Ville in Ottawa and Scotia Plaza, Harbour Castle Hotel and Waterpark Place office complex in Toronto. The company also built more than 25,000 houses in the Ottawa area. Scotia Plaza in Toronto is one of many real estate developments in which Robert Campeau had a hand. Campeau lost his empire and most of his fortune in 1990 when an $11-billion investment in the U.S.-based Allied and Federated department store chains collapsed under a mountain of junk-bond debt. Campeau spent several years in Europe after being fired by the company he founded, but returned to Ottawa in 2002. In 1997, his 28,000-square-foot chateau-style Toronto mansion sold far below asking price for $6.17 million. In his later years, Campeau is said to have devoted much of his time to philanthropy through a family foundation that bore his name. Campeau once controlled the Bloomingdale's and Macy's department stores chains in the U.S. The obituary, which appears on the site for Arbor Memorial funeral homes, notes he is survived by a wife, six children and several grand-children and great-grandchildren. A funeral will be held in Ottawa on Thursday.